Realised in a combination of glass and metal, the Orbit 2 Chandelier features a striking and chaotic form that will create a focal point in any home interior. 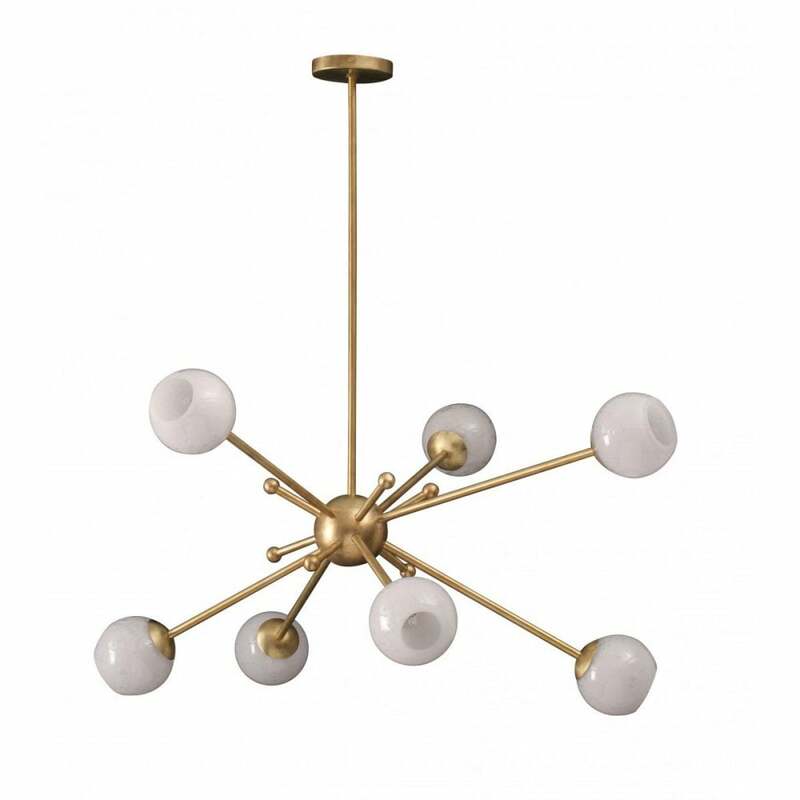 Mid century modern in style, this futuristic chandelier is part of the Orbit collection by Porta Romana. This chandelier expertly pairs delicate milky glass domes with a strong framework of polished brass. Each pearl-like shade creates a soft glow and delicate luminosity that juxtaposes with the angular shape. Orbit will add a contemporary touch to a more classic interior scheme. Position over a dining table or in an entranceway to really make a statement. Also available in Bright Steel finish with Shadow Glass fixtures. Make an enquiry for more information.